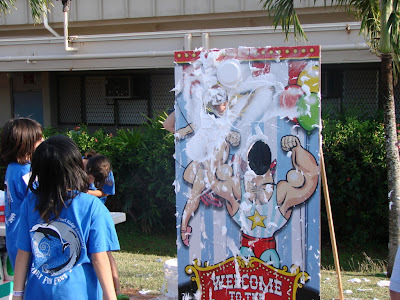 Wow what a great fun fest you can even throw a pie at your “favorite” teacher or administrator. Kids at Pearl Ridge Elementary got their chance at the fun fest raising money for the school. There was also a dunking booth but those teachers had a super soaker to fight back. 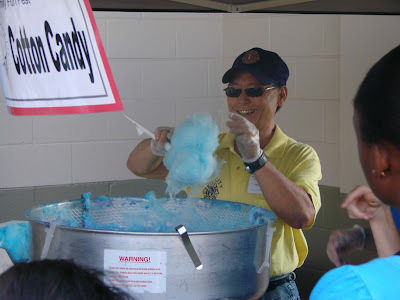 A volunteer makes cotton candy for the hungry children (and adults like me) at the Pearl Ridge Elementary School Fun Fest. This fun fest raised money to be put to good use and also created an awesome evening of fun for the whole family. 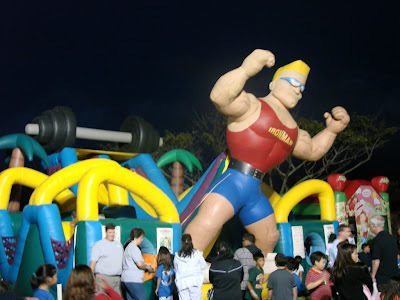 Here is a night shot of the giant inflatable rides at the Pearl Ridge Elementary Fun Fest that was on this past Friday. One of my friends was the organizer so I was there shooting photos for her and will put some shots up in the coming days.